Asbestos could be killing your family or your employees and you wouldn’t even know it. Used in almost every home and commercial property in Suffolk County, New York built before 1978, asbestos in practically invisible and certainly life-threatening. 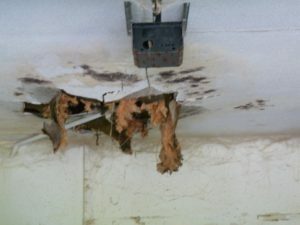 Our company can help you get rid of this hazard from your property. We have been handling asbestos abatement (removal) and asbestos remediation (site clean up) in Suffolk County, NY for more than 25 years. Asbestos insulation and siding, asbestos sheetrock and plaster, asbestos roofing shingles and floor tiles, even the vermiculite used in “popcorn” ceilings—all these building materials were made with asbestos and if your home or commercial property was built before the late 1970’s, asbestos is putting any occupants at risk of cancer, Mesothelioma, and Asbestosis. Remediation begins by sealing off all previously contaminated areas, carefully cleaning the whole area with special filtered equipment and testing the air again. When no trace of asbestos remains, we then reconstruct the area putting everything back just the way we found it, and declare an “All Clear’, that signals it is safe for your family or employees to return. Anywhere in Suffolk County, NY, for asbestos remediation and abatement, call (877) 645-1428.